The Climatic Research Unit at the University of East Anglia used to show the “hiatus” very clearly. Then they talked it over with their fellow fraudsters at NOAA and NASA – and made the hiatus disappear by switching to a new version of their data. 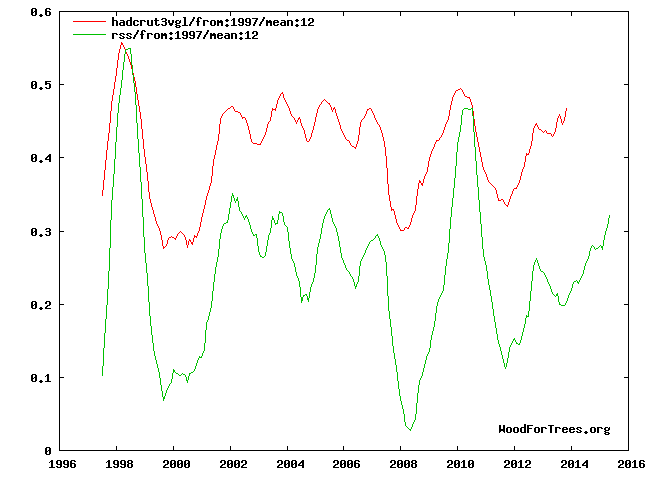 If you remove their recent 0.1 degree data tampering, then 1998 becomes the hottest year – which agrees with satellites. 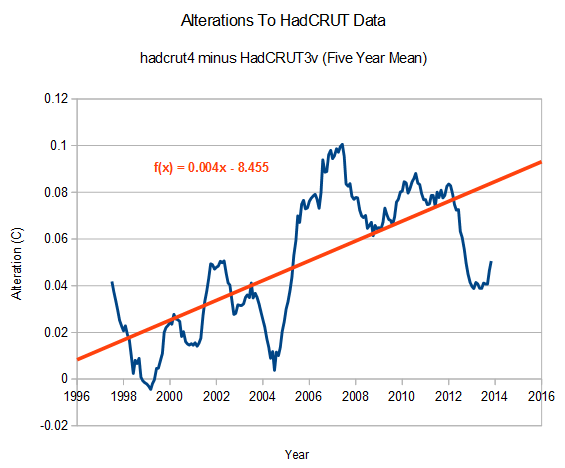 Previously, CRU had excellent agreement with satellites about the hiatus. Satellites are supposed to show larger swings than surface data, but the trend was the same. Also note how satellite data shows much larger spikes during El Nino events, like 1998 and 2010. 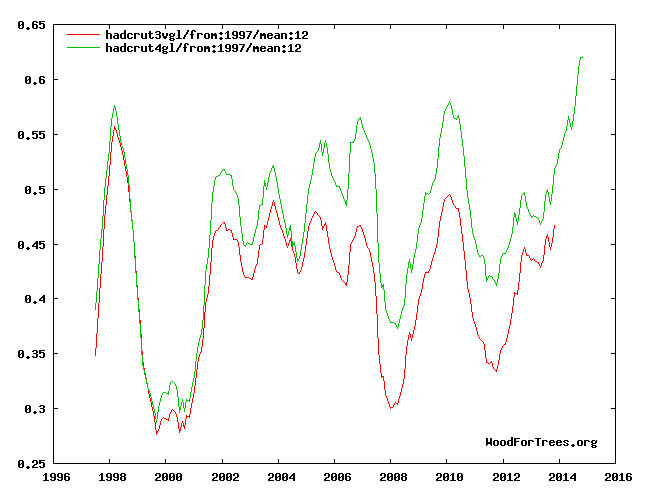 The new CRU data creates a warming trend where there is none. 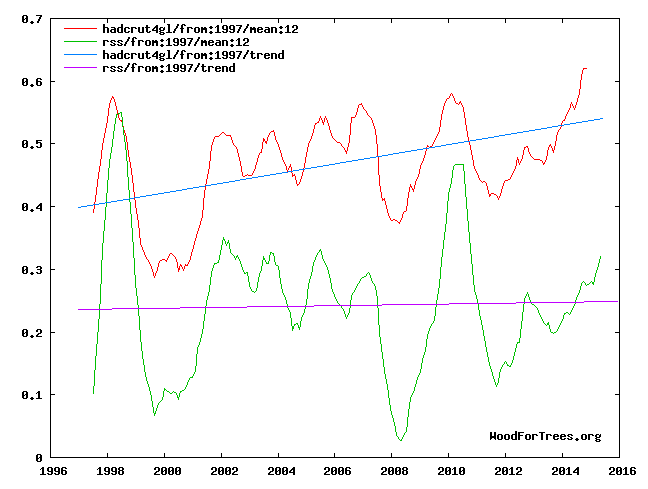 But the real smoking gun of fraud is the divergence with satellites during the current El Nino. They should be converging, not diverging. Not sure how any of this would get out if it wasn’t for a handful of people dedicated to science.